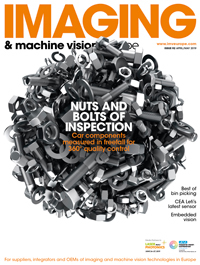 Lucid will showcase its latest GigE Vision cameras up to 31.4 megapixel and its new time-of-flight 3D camera at both Automate (#8551) and the UKIVA Machine Vision conference. Product highlights will include the large format, high resolution Atlas camera featuring 5GBase-T capable of 600MB/s over standard Ethernet cable up to 100 metres. The 5GigE Atlas series ranges from 5 megapixel to 31.4 megapixel. The high-resolution Atlas models include the 31.4 megapixel Sony IMX342 APS-C format global shutter CMOS, the 19.6 megapixel IMX367, and 16.8 megapixel IMX387 sensors. 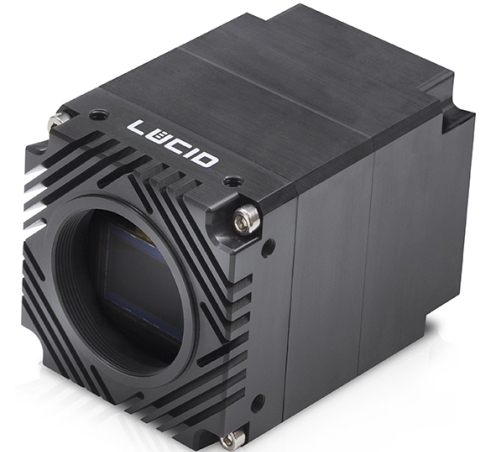 For applications such as robotic navigation, 3D inspection and logistics automation, Lucid will be showing its new, compact Helios 3D camera featuring Sony’s DepthSense ToF technology. Sony’s MX556PLR back-illuminated ToF image sensor offers high NIR sensitivity, 10μm pixel size, and a high modulation contrast ratio. The 0.3 megapixel Helios camera has a 640 x 480 pixel resolution running at 60fps.